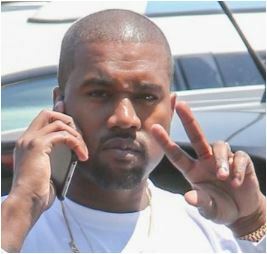 Kanye West did not like to divulge any secrets about the cast in his new music video. The rapper was spotted coming out of a movie theatre in Calabasas Saturday. Then, he was walking towards the white Luxury SUV Range Rover with Kim Kardashian and North West. When asked if the models were real in the video, he joked, “I can’t give away the magic, bro.” Meanwhile, Kanye released his music video for his song, “Famous” and he appeared to love the news about the celebrities included in the photo.